Identification: Very gracious and beautiful. 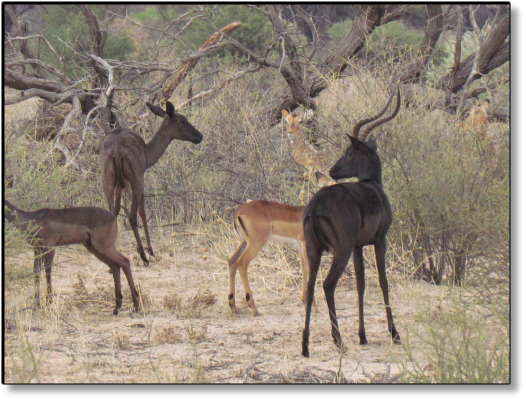 The normal Impala is red brown in colour with a white belly but the Black Impala is completely black. Sides and shoulders are a slightly lighter shade of black. Males have horns. Size: Shoulder height 90cm. Weight 40-50kg. Habits: In groups of 15-100. Territorial behavior. Active during the day. They are very agile and jump very high and far (+/- 12m) when frightened. They also graze from time to time. Lamb from September to January. Distribution: Western Angola, Tanzania, Kenya, Zambia, Zimbabwe, Botswana, Malawi, Mozambique and South Africa. The Black Impala has a very high commercial value compared to the normal Impala. 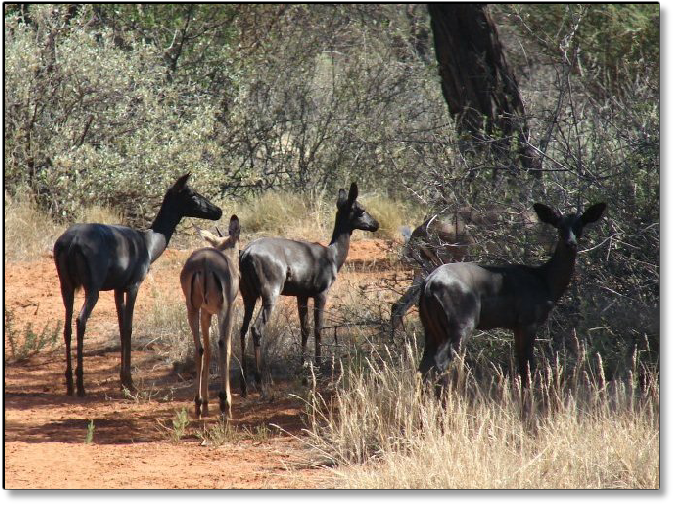 The species offer an excellent return on you investment, if you have good predator control. 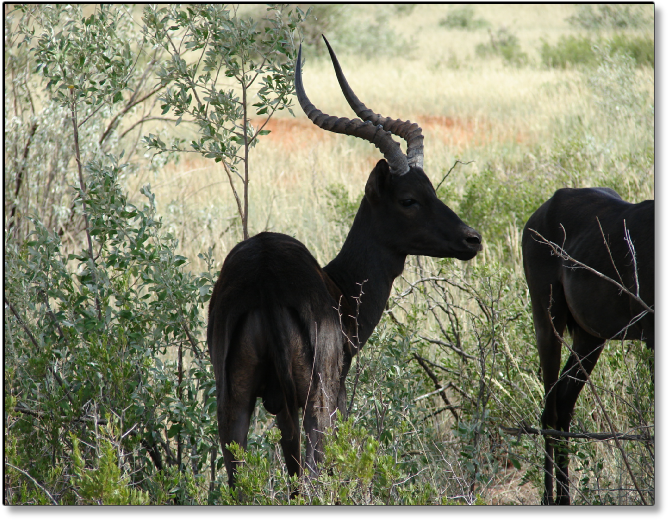 We offer excellent Black Impala genetics at Mattanu. We offer breeding groups and rams.